The kids are already starting to eat food. Well, they’ve been at it for awhile now really. 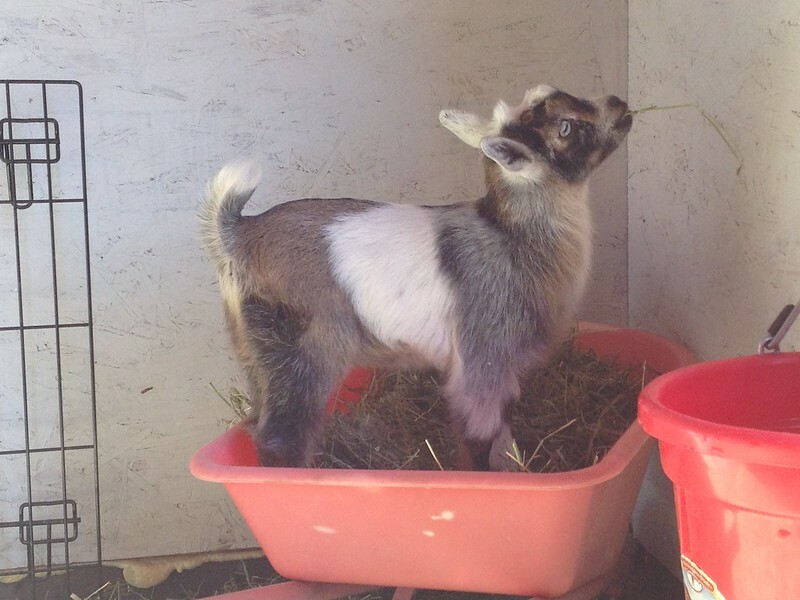 Goats amaze me! They are born fully furred with their eyes wide open. They are on their feet walking in less than an hour. They have teeth already. Within a day they can bounce like a rubber ball! Just amazing little creatures! Now they are starting to enjoy the hay that their mama eats as well. 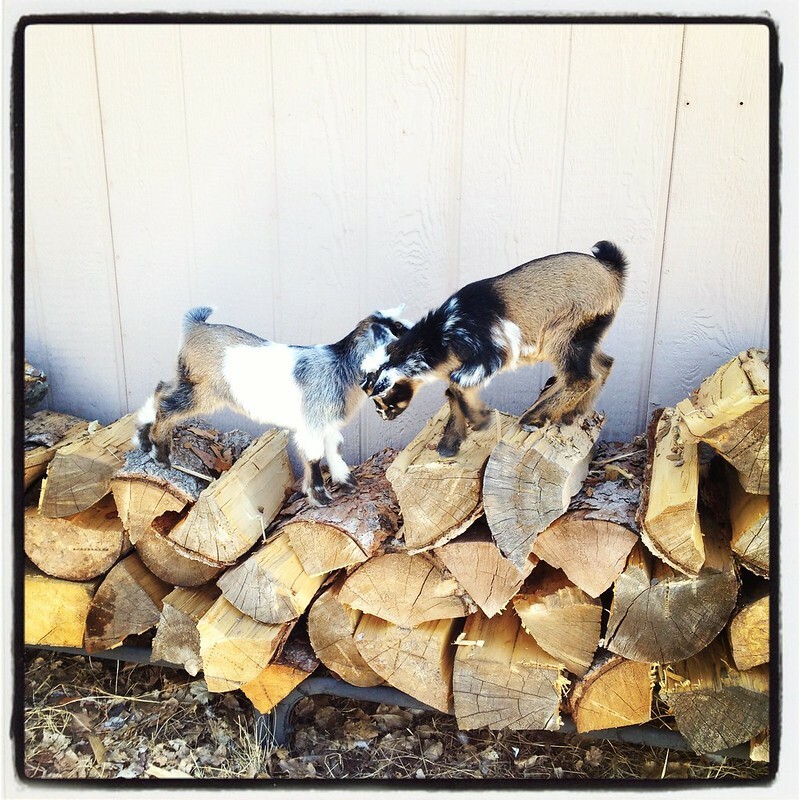 When we got our 2 goats we weren’t really “set up” for them yet. They had to live in a makshift shelter for a couple weeks while we got the LRB set up. And we didn’t have an “official” feeder for them. 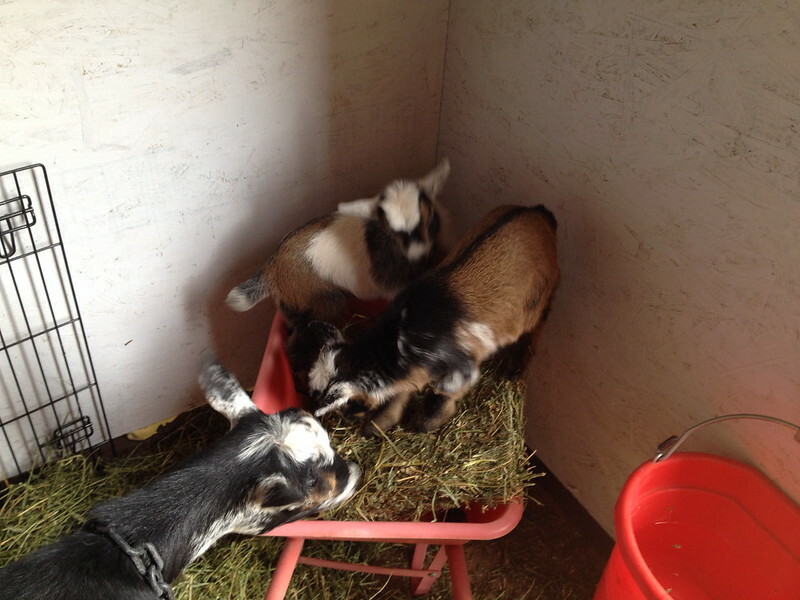 However my sons had little red wheelbarrows and one of those worked fine for their hay and pellets. And even after they moved into the LRB it came too. We knew we wanted to build a custom feeder for them, but like all things it has to wait it’s turn in the priority list. 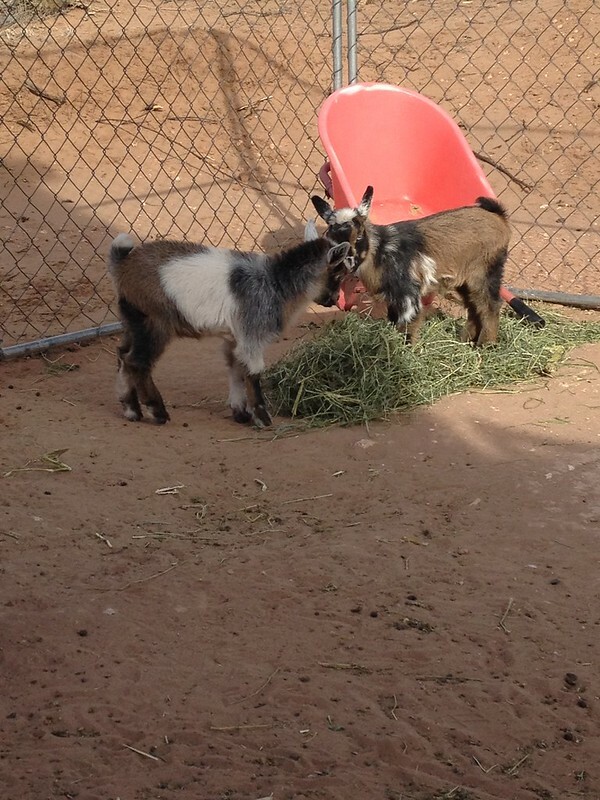 😉 Ginny and Hermione like the little wheelbarrow and have decided that it’s a very fun place to play AND eat! Polly doesn’t really like this set up, because when the kids are messing around in the hay, Polka doesn’t think Polly should be allowed to eat. Poor Polly! Don’t worry, she’s not starving by any means. 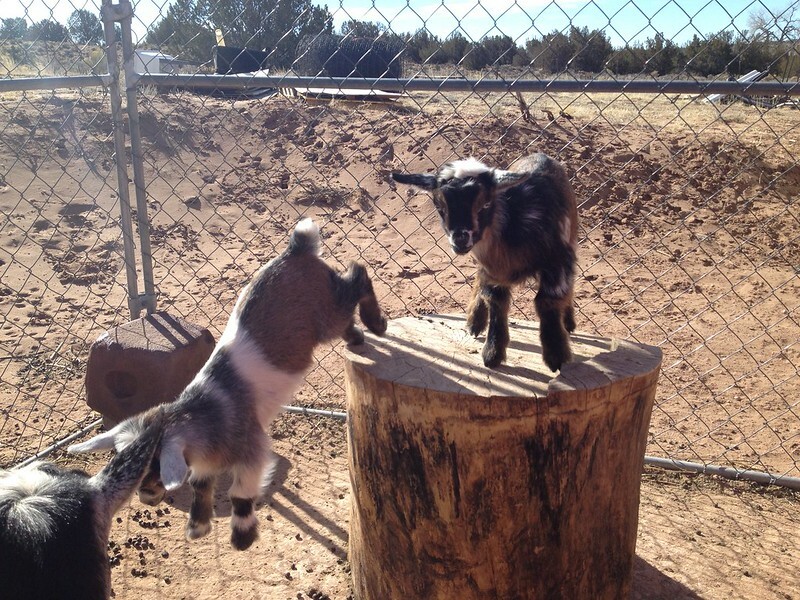 The littlest goats also have figured out how to climb on the stump and spool that we have in their yard specifically for goat antics. Watching them fly up and down off of these is highly entertaining, and I love trying to capture photos of them in midair! They are growing fast, and seem quite strong and healthy! We are thrilled with these little ones and looking forward to Polly’s babies coming mid-March! The plan is to sell Polly’s and I’m already trying to figure out just how I’m going to manage that! They’re so cute, I just want to keep them all! !